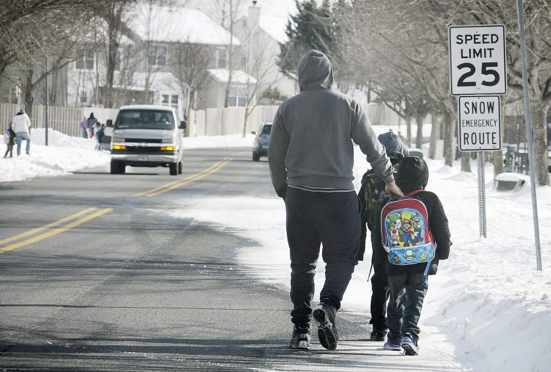 Are pedestrians able to navigate slick or snowy sidewalks in your jurisdiction following a winter storm? Maintaining continuously accessible pathways are essential for individuals who walk as a primary form of transportation to get to school, work, or a transit stop. Sidewalks and pedestrian facilities that are covered by snow or ice can impact the safety, accessibility, and mobility of pedestrians. 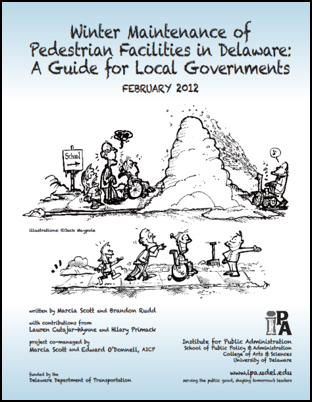 Winter Maintenance of Pedestrian Facilities in Delaware: A Guide for Local Governments provides information on how Delaware local governments can improve sidewalk snow removal and winter-maintenance practices to foster walking as a year-round activity and safe mode of transportation. The publication explains how Delaware local governments can clarify and better coordinate responsibilities for winter maintenance of pedestrian facilities, improve the timely removal of snow on pedestrian facilities, ensure ADA compliance, consider winter maintenance best practices and snow removal innovations, and adopt winter maintenance-management plans. 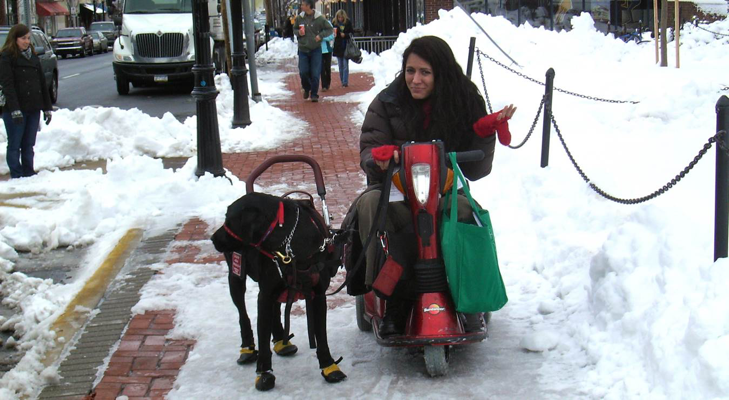 In addition to this guide, the Delaware Center for Transportation’s T²/LTAP Program provides courses and workshops, as well as technical briefs and case summaries for Delaware local governments on ADA, Designing Pedestrian Facilities for Accessibility, and Winter Maintenance.